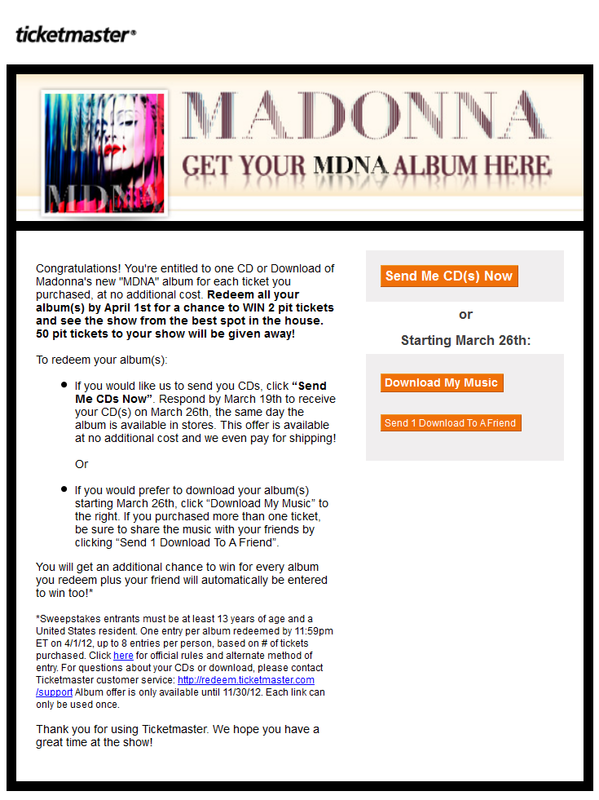 Ticketmaster U.S. buyers, Redeem your MDNA Album from Madonna and WIN Pit Tickets! Legal resident of the USA and at least 13 years of age? 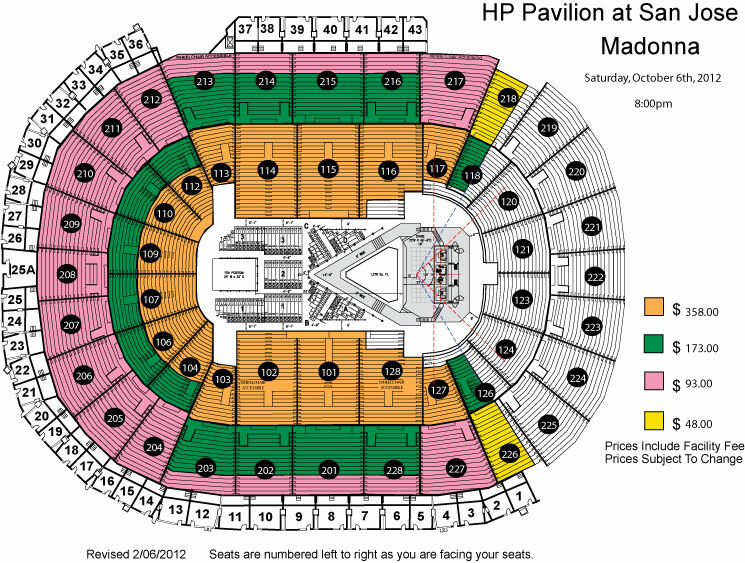 Good news: You’re eligible to participate at the MDNA PIT TICKETS sweepstake. Twenty-five prizes, consisting of two general admission pit tickets, will be awarded to the winners. One entry per successful redemption or mail-in entry, up to eight (8) entries per person. Entrants will be entered into the prize pool for the date tickets purchased. U.S Fans who bought their tickets from Ticketmaster have received an email telling they’re entited to one CD or download of Madonna’s MDNA album for each ticket they purchased, at no additional cost. They can redeem their albums by April 1sr for a chance to win 2 pit tickets and see the show from a very unique spot. 50 pit tickets to each U.S show will be given away.